Climate change is transforming the Arctic. The ice cover on the Arctic Ocean is shrinking in breadth and depth, permafrost is melting, and indigenous flora and fauna is threatened. Questions abound about what these changes will mean for northern peoples, for transportation routes, for international boundaries, and for stability and security in the circumpolar world. Prime Minister Harper, in his campaign speeches and announcements of major initiatives delivered in northern communities, has often repeated the message of “use it or lose it.” Canada must respond to present and future challenges, this message intimates, because Canada’s north is besieged. 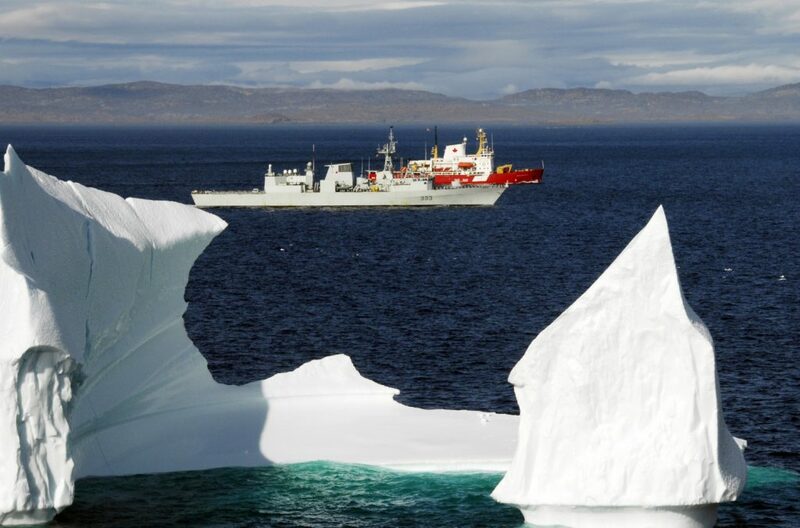 The line of argument is predicated on the idea that previous governments have failed to perfect Canadian sovereignty in the Arctic, and a more activist approach is necessary to defend Canada’s national interests. Is Canada’s sovereignty “on thinning ice”? 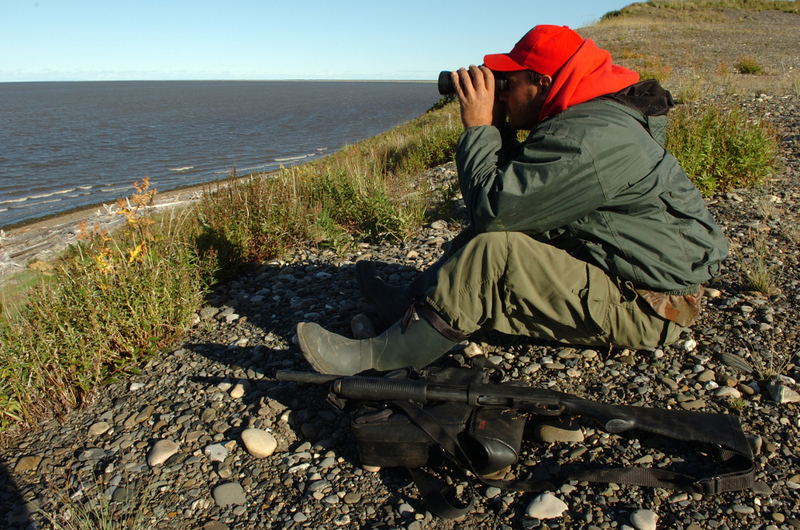 Are new circumpolar threats undermining Canadian security? As debate swirls around these questions, due to an allegedly impending “perfect storm” coalescing around climate change, a so-called “race” for arctic resources, and increased militarism in the Arctic, Canadians should be reminded that scholars and policy-makers have been grappling with these questions for decades. The Arctic is indeed part of our history, as the prime minister noted, and a robust understanding of previous sovereignty and security thinking, policy, and practices should inform our assessment of policy options, probable future scenarios, and the feasibility of proposed courses of action. The purpose of this volume is to provide an overview of leading historical research on Canadian Arctic security and sovereignty since the Second World War. It is a “hybrid” collection in that it includes both previously published scholarship and cutting edge research by new scholars. We hope that it provides students, scholars, and policy makers with access to important scholarship that frames and shapes historiographical and policy debates about sovereignty and security in the Canadian Arctic. In so doing, we hope that it lays a foundation for future research in this important and dynamic field. Although there is some modest overlap in discussions of historical context across some chapters, this has been retained in anticipation that individual chapters may be consulted as stand-alone contributions on specific topics and themes. P. Whitney Lackenbauer (ed). 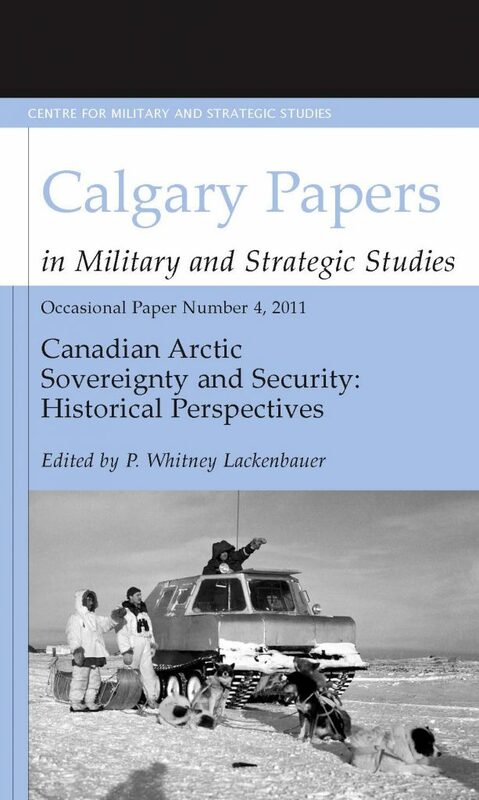 Canada and Arctic Sovereignty and Security: Historical Perspectives (Calgary Papers in Military and Strategic Studies Calgary: Centre for Military and Strategic Studies/University of Calgary Press, 2010) 448 pp. Chapter 1: Gateway to Invasion or the Curse of Geography? The Canadian Arctic and the Question of Security, 1939-1999, Lieutenant Colonel Bernd Horn. Chapter 2: The Army of Occupation: Americans in the Canadian Northwest During World War II, Ken S. Coates, William R. Morrison. Chapter 3: 1946: The Year Canada Chose its Path in the Arctic, PeterKikkert. Chapter 4: Advertising for Prestigeâ€: Publicity in Canada-US Arctic Defence Cooperation, 1946-48, David J. Bercuson. Chapter 5: Arctic Focus: The Royal Canadian Navy in Arctic Waters, 1946-1949, Elizabeth B. Elliot-Meisel. Chapter 6: Clenched in the JAWS of America? Canadian Sovereignty and the Joint Arctic Weather Stations, 1946-1972, Daniel Heidt. Chapter 7: A Practicable Project: Canada, the United States, and the Construction of the DEW Line, Alexander Herd. Chapter 8: The Military and Nation Building in the Arctic, 1945-1964, K. C. Eyre. Chapter 9: Claiming the Frozen Seas: The Evolution of Canadian Policy in Arctic Waters, Adam Lajeunesse. Chapter 10: The Manhattan Incident Forty Years On: Re-assessing the Canadian Response, Mathew Willis. Chapter 11: Building on “Shifting Sands”: The Canadian Armed Forces, Sovereignty, and the Arctic, 1968-1972, P. Whitney Lackenbauer, Peter Kikkert. Chapter 12: Polar Vision or Tunnel Vision: The Making of Canadian Arctic Waters Policy, Rob Huebert. Chapter 13: Canada’s Northern Defenders: Aboriginal Peoples in the Canadian Rangers, 1947-2005, P. Whitney Lackenbauer. Chapter 14: Climate Change and Canadian Sovereignty in the Northwest Passage, Rob Huebert. Chapter 16: Conclusions: “Use It or Lose It,” History, and the Fourth Surge, P. Whitney Lackenbauer. Further Reading, P. Whitney Lackenbauer.